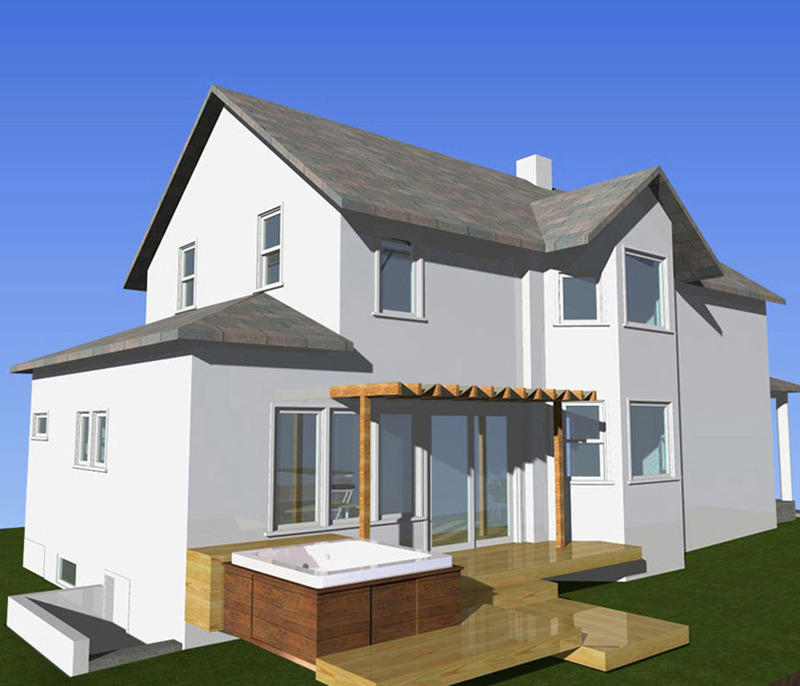 Blue Brook Architecture developed this rendering to allow the owner to see how well our residence addition design fit with the existing building. The deck and hot tub are existing elements which are being rebuilt as they were. The addition is the rear of the upper floor. The little, six inch wide jog in the upper floor wall matches the existing condition on the ground floor. The new roof treatment we developed for the rear of the ground floor mirrors the front porch treatment at the rear of this rendering, making it look original to the house. This view allowed our client to really "get it" and approve the project to proceed to construction drawings.